The quest for cancer prevention and control through nutrition, lifestyle and environmental change. 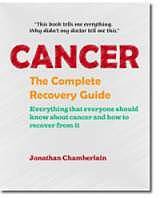 Most of the alternative cancer therapies today are based on diet and lifestyle changes. Of the many protocols that have been tried over the years, a few have earned a place in history: Vitamin B17 Metabolic Therapy, The Budwig Diet, The Gerson Therapy, Sodium Bicarbonate & Essiac Herbal Tea. Liposomal Vitamin C is claimed to have powerful cancer fighting properties. 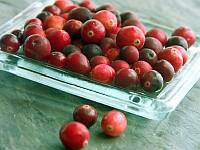 It is taken orally, and can be prepared at home very inexpensively. More. Vitamin D3 is claimed to have a prime role during treatment. It is available over the counter and is very inexpensive. Cancer the Forbidden Cures - Full Documentary. Claimed natural chemo-therapeutic agent found in bitter apricot kernels, and many other bitter foods. Generally lacking in modern day diets. Available commercially as Laetrile. Marshals the evidence that cancer is a nutritional-deficiency disease. The Science & Politics of Cancer Video by researcher G Edward Griffin. 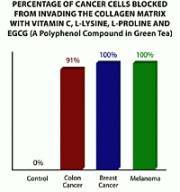 Dr. Matthias Rath protocol includes Vitamin-C, L-Lysine, L-Proline and an extract of Green Tea (primarily EGCG). The regimen does not interfere with chemotherapy or radiation therapy. The work of Dr. Johanna Budwig, German pharmacologist and seven-times Nobel prize nominee. The protocol involves the essential fatty acid Flax Oil or Milled Flaxseed, blended with a sulphur-based protein such as cottage cheese or yoghurt. This is a highly effective, powerful and fast acting protocol, even for advanced conditions. Developed by Dr. Max Gerson in the 1920’s. Uses organic foods, juicing, coffee enemas, detoxification and natural supplements in an attempt to activate the body’s natural defences. Simoncini Cancer Therapy - Italian Oncologist Dr Tullio Simoncini has been studying Sodium Bicarbonate from his viewpoint that cancer is fungal in nature. Dr Circus Website "Sodium Bicarbonate can be used as a first line of defence for a vast range of sickness including, cancer, flu, diabetes, kidney disease and even the common cold". Herbal tea made famous by Canadian Cancer Nurse, Rene Caisse. Made from Burdock Root, Slippery Elm Bark, Sheep Sorrel and Indian Rhubarb Root. Studies conducted by Ohio University showed that the nutrients of this fruit help thwart cancer cells. Avocados' nutrients not only kill cancer cells, but also prevent the development of pre-cancerous ones. Avocados are bursting with enzymes. Plus, they're rich in minerals, including magnesium, which is involved in more than 300 metabolic functions in your body. 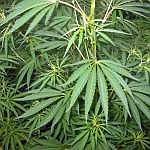 The International Medical Verities Association is putting hemp oil on its cancer protocol. It is a prioritized protocol list whose top five items are magnesium chloride, iodine, selenium, Alpha Lipoic Acid and sodium bicarbonate. It makes perfect sense to drop hemp oil right into the middle of this nutritional crossfire of anti cancer medicines, which are all available without prescription. 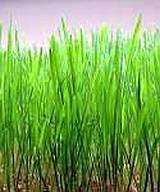 Contains chlorophyll, which increases hemoglobin production, meaning more oxygen gets to the cancer. 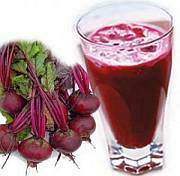 Contains at least 13 vitamins, many minerals and trace elements, including selenium, and all 20 amino acids. One of the most alkaline foods known. 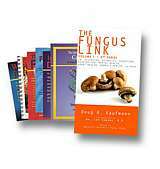 The compound Lentinan in Shiitake mushrooms has been found to increase the survival rate of cancer patients. Extracts from Maitake mushrooms, when combined with vitamin C, were shown to reduce the growth of bladder cancer cells by 90%. In Japan, the top forms of alternative medicine used by cancer patients are Agaricus subrufescens and Shiitake mushrooms. The major components of interest are the polyphenols. The major polyphenols in green tea are flavonoids (e.g., catechin, epicatechin, epicatechin gallate, epigallocatechin gallate (EGCG) and proanthocyanidins). Epigallocatechin gallate is viewed as the most significant active component. Emerging animal and clinical studies are beginning to suggest that EGCG may play an important role in the prevention of cancer. EGCG should not be used during pregnancy. Canadian researchers at the University of Alberta, in Edmonton, Canada have investigated DCA as a simple treatment for cancer. DCA is a very basic drug, currently used to treat metabolic disorders. It is inexpensive, and appears to be non toxic to humans in rational doses. CRUK reports "It is clear that DCA is an intriguing drug – one of many currently being investigated by scientists around the world ...". Natural home remedies can be safe, inexpensive, and effective. Proponents of natural remedies often claim that they are effective because they treat the underlying cause, and don't just mask symptoms. Should doctors and hospitals take second place then? No, of course not. If you have been in a serious accident, you need a hospital, not a home remedy. But BOTH have their place. A study published in the Journal of the Science of Food and Agriculture showed the berry extract may prevent cancer cells spreading to healthy cells. Grapes contain many products which are said to help fight cancer. 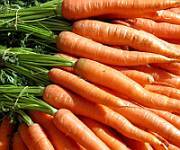 These include: selenium, lycopene, lutein, beta-carotene and many others. The body needs higher levels of the amino acid Arginine when it is under conditions of stress, illness or injury. 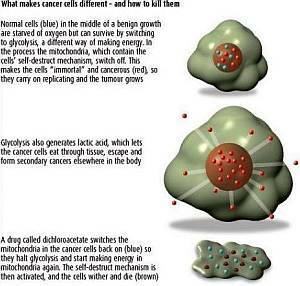 Cancer cells are anaerobic and do not survive in a high oxygen environment. L-Arginine increases the blood oxygen supply. 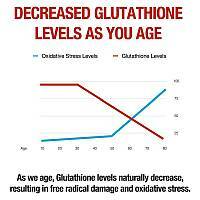 Toxic cells lose their energy-producing ability, and Glutathione levels are important in keeping cellular energy high. Probably the most important antioxidant that our cells produce. Found in green vegetables - brussels sprouts, cabbage, cauliflower and broccoli, and also in avocado, asparagus, watermelon, grapefruit, boiled potatoes, strawberries, raw tomatoes, oranges. The core protocol is composed of water-based highly concentrated nutritional medicines. The supreme ones are oxygen, magnesium chloride, magnesium bicarbonate, sodium bicarbonate, selenium, sulfur, iodine and glutathione. When used in combination with each other they constitute a new form of medicine that is powerful yet easy to learn. Cachexia is a loss of muscle and fat tissue, often experienced by cancer patients. It is associated with fatigue and anorexia. Omega-3 In cancers where high inflammatory stress is usual, protein rich supplements containing n-3 polyunsaturated fatty acids and high levels of antioxidant vitamins may reverse severe weight loss. Krill oil is an excellent source. (see also Budwig protocol). Megestrol Acetate is a steroid hormone drug that can improve appetite and weight gain in cancer patients with anorexia. Potential side effects could include blood clots. Vitamin D3 is believed to be especially beneficial. HS functions as an MAO inhibitor and cannot ever be used in combination with alcohol, tranquilizers and barbiturates. Ubiquinol serves an essential function in creating cellular energy. As such it may benefit multiple health problems, from general fatigue to chronic health problems. Ubiquinol is more bio-available than CoQ10. Take with a meal. Also worthy might be: L-Carnitine, Ginseng, B Vitamins and high dose Vitamin D3. Himalayan Salt - pink in colour, due to the high mineral content. National Pure Water Association - Campaign For Safe, Non-Flouridated Water. 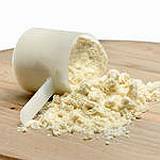 Nutrition Review Glossary Amino acids, Vitamins, Minerals, Herbs, Nutrients, Smart Drugs. Drugs.com Comprehensive source of drug information. Linus Pauling was the founder of modern chemistry, and holder of 48 honorary Ph.D.s. 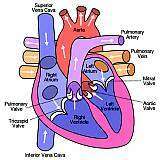 His therapy for cardiovascular and heart diseases are high dosages of Vitamin C and the amino acid Lysine. DO YOU REALLY NEED GLASSES? 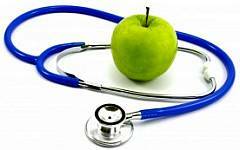 A list of doctors and clinics who embrace alternative and complementary therapies. The Vision of Hope Clinic in Brighton, UK, specialises in Metabolic Protocol, a nutritional approach to well-being. Alkalize For Health 8-step cancer plan - start today. Alkalize For Health Alkalised body systems. Orthomolecular Oncology UK doctor & clinic list. Credence Publications Books and lecture tours by Phillip Day. Dr William Kelley "One Answer to Cancer". Dr Rath Research Institute Cellular Medicine and vitamin research. Vitamin C Foundation Live longer and feel better. Mercola The world's number 1 natural health website. Alkalize For Health Cancer pain and cachexia (weight loss). Total Health Institute A leading alternative healing facility based in Illinois, US. The Doctor Within Scientific data on holistic and alternative medicine. The Dove Clinic Complementary and conventional medicine. Dr Ralph Moss Virtual encyclopaedia of cancer information. Codex Alimentarius Video by Dr Rima Laibow. Oasis Of Hope, Mexico 100,000 patients treated in 30 years. Cancer Compass Thousands of conversations about cancer. Cure Research Foundation The advancement of healing without drugs. 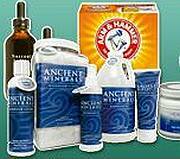 Alliance for Natural Health Campaign to regain and maintain health naturally. Potentially Harmful Chemicals Check the products that you buy. 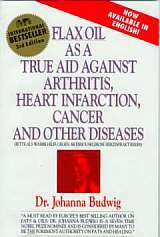 Ralph W Moss, Ph.D Books on alternative cancer treatments. www.canceractive.com Promoting clear information. Freedom Force International Preserve your personal liberty. BBC Interview with Cancer Survivor Vitamin B17 and faith.